Superhero Cupcake toppers, Comic Book Party, Superhero Birthday, Cupcake Toppers, Party Signs, Printable Instant download. 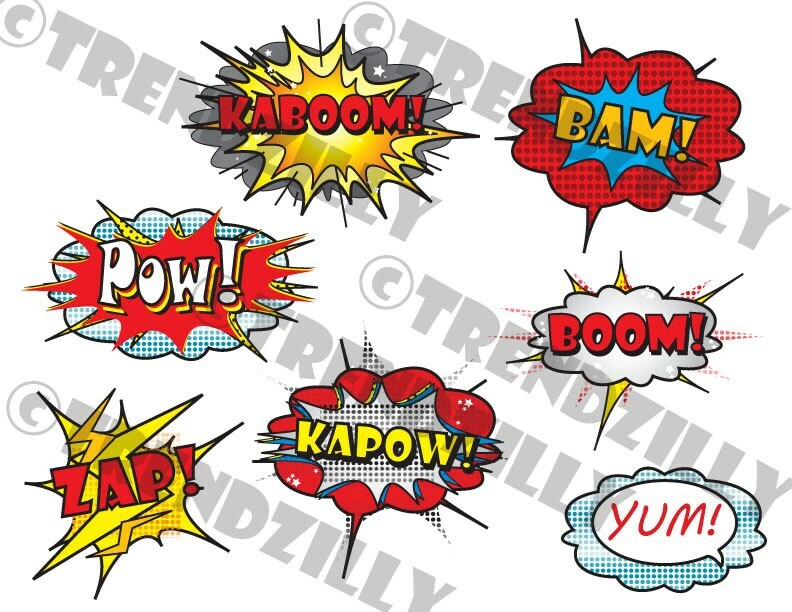 Superhero cupcake toppers printable. Set of 7. ~ Superhero cupcake toppers, can be used as is printed on plain paper cut out or glued to construction paper or print on card stock and taped to a stick to be placed on cupcakes. Goes with Superhero cupcake wrappers found here: https://www.etsy.com/listing/192459030/superhero-cityscape-cupcake-wrappers? Water Bottle Labels here: https://www.etsy.com/listing/192468411/superhero-water-bottle-labels-printable?